With it being National Picnic Week and the weather set to be warm and dry, there is no better reason to pack your hamper and head outdoors. man having a summer picnic. SKEGNESS, England - June 22, 2017 - PRLog -- Picnics are great for families, groups of friends or a couple looking for a romantic way to spend a day. Sharing a selection of delicious summery foods while enjoying the spender of a beautiful location with the people you love is the recipe for a fantastic day. With it being National Picnic Week (16th-25th June) and the weather being so glorious in the UK, there is no better time to pack your bag and dine al fresco. For an organised and smooth running picnic, it's best to find everything you might need to bring the night before. Most of us don't regularly use our picnic hampers, and a lot of the time they live in the back of a cupboard somewhere in the house. By getting all your equipment ready, you'll have more time in the morning for preparing the fresh and delicious food you'll be taking. 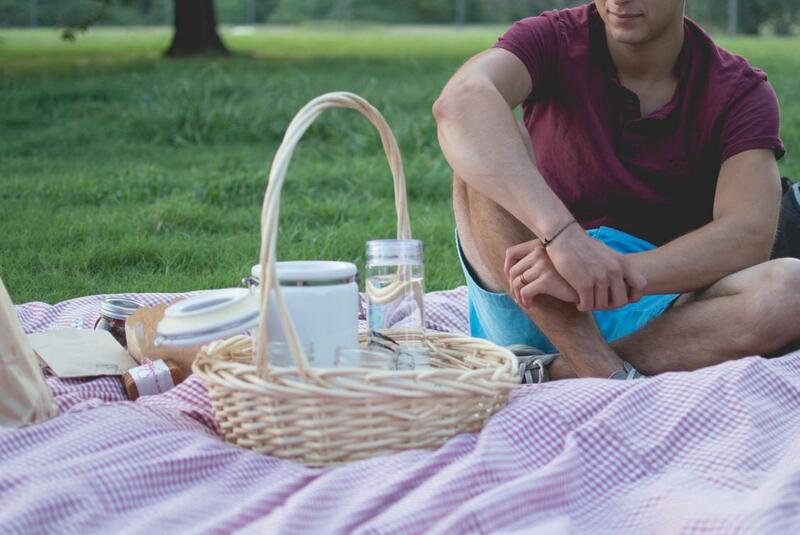 If you're going to be walking a little way to your picnic destination, tables and chairs can be too tricky to carry, so, bundle up a couple of cosy blankets for you to sit on and a few extra to wrap around yourselves when the temperature drops. Although plastic cutlery is much lighter in your bag, they just don't cut the pork pie, so, bring along a couple of sets of knives and folks to make things easier. The same goes for paper plates and plastic cups. You don't want to be balancing your pile of food on a wobbly surface or spilling your favourite glass of bubbly. Icepacks are handy for keeping your food cool on a warm day, make sure you've got one in the freezer the night before, so it's ready to come with you. Playing games in the sun with your friends or family is the perfect way to build an appetite. Pack a frisbee, football or bat and ball for a few amusements while you wait to eat, and if you're playing in the sun, remember to put some sunscreen and sunhats on. Preparing all the food on the morning before you leave guarantees that it'll be fresh and delicious. Make sure you wash and chop all the fruit and veg before you leave, and put together your classic picnic dishes nice and early, so you get to enjoy most of the day outside. This is a great chance for children to help in the kitchen too, get them to wash, mix and spread to keep them entertained while you're all getting ready. Will you be having the classic scotch eggs, jam sandwiches, pasties and potato salad, or are you wanting to try something new? Try adding fennel and pomegranate seeds to your bean salad to mix the flavours up a little. Or, instead of chives with your potato salad, mix whole grain mustard, freshly chopped spring onion and some mayo for something a little different. If you are feeling ultra-indulgent, some crispy bacon with a strong blue cheese makes a mouth-watering sandwich filler, and rather than cheese and pineapple sticks, try an olive, with a slice of sundried tomato with some smoky prosciutto wrapped around. Not forgetting the sweet treats, nothing beats the traditional picnic, Victoria sponge, with oodles of cream and jam in the centre, and a generous sprinkling of icing sugar on the top - a true taste of a British summer picnic. Bring along plenty of water, even if it's not too hot, it's good to be prepared. If you don't drink it, it'll still come in handy for sticky fingers or rinsing the dishes before you put them back into your bag or hamper. A special treat for the adults is a sunrise in a glass; try mixing tequila with fresh orange juice and a generous wedge of lime for a much-needed refreshment on those warmer days. For the children, try making some fresh lemon ice tea, by squeezing the juice of the lemons and adding a well brewed and well chilled lady grey and water. Our Holiday parks in Lincolnshire (https://www.tingdenelifestyleparks.co.uk/mablethorpe) are surrounded by idyllic and picturesque picnic spots, from Hubbard's Hill, located on the edge of the stunning Wolds to Chambers Farm Wood, to a medieval woodland with a wonderful range flora and fauna in the Bardney Limewoods National Nature Reserve. Which Town Was Voted as Britain's Best Seaside Destination?